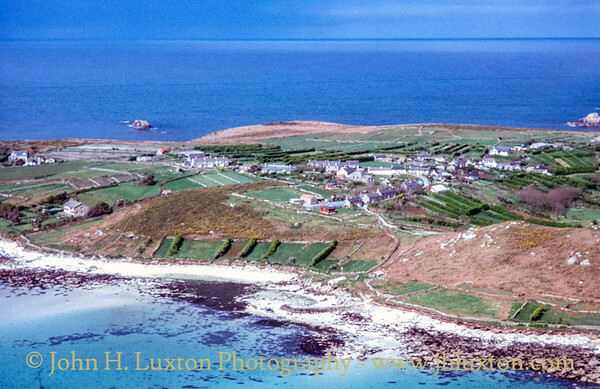 St Martin's (Cornish: Brechiek, meaning "dappled island") is the northernmost populated island of the Isles of Scilly, England. 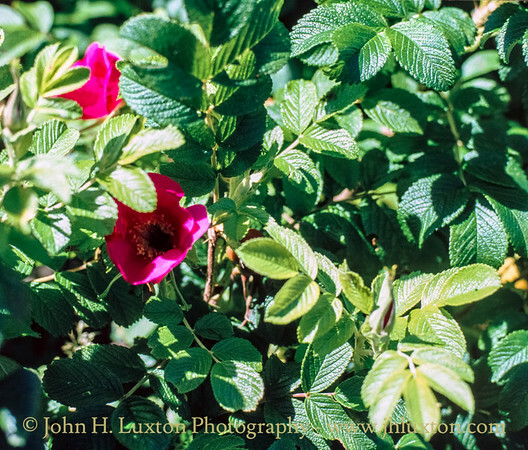 It has an area of 237 hectares (0.92 sq mi). 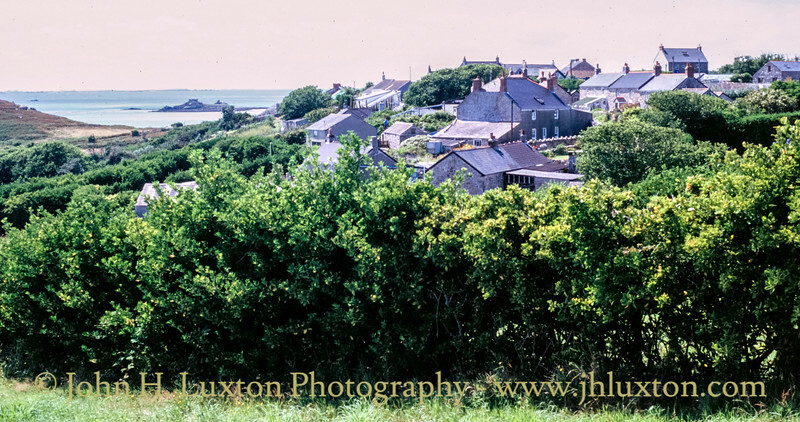 There are three main settlements on the island - Higher Town, Middle Town and Lower Town - in addition to a number of scattered farms and cottages, with a total population (2011 census) of 136. There are two quays - at Higher Town (the Higher Town Quay, used at high tide) and at Lower Town (the Hotel Quay, used at low tide). In Higher Town there is a post office. There is a vineyard on the island. 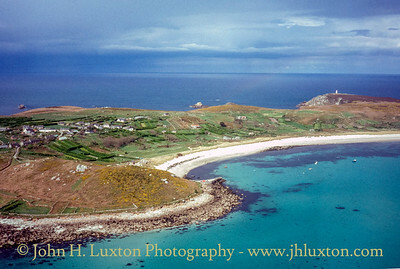 To the north, St Martin's is joined by a tidal causeway to White Island. There are two churches on St Martin's: the Anglican parish church of St Martin's and a Methodist chapel, both located in the Higher Town area. 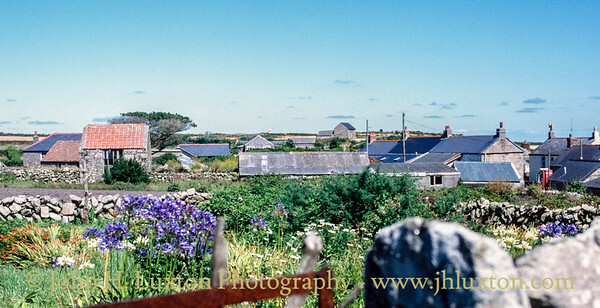 The Methodist chapel dates from about 1845 and is part of the Isles of Scilly Methodist Circuit. 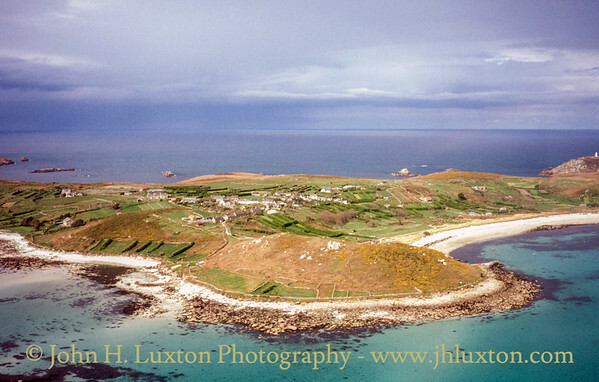 View along the west coast of St Martins from a Tresco bound flight. 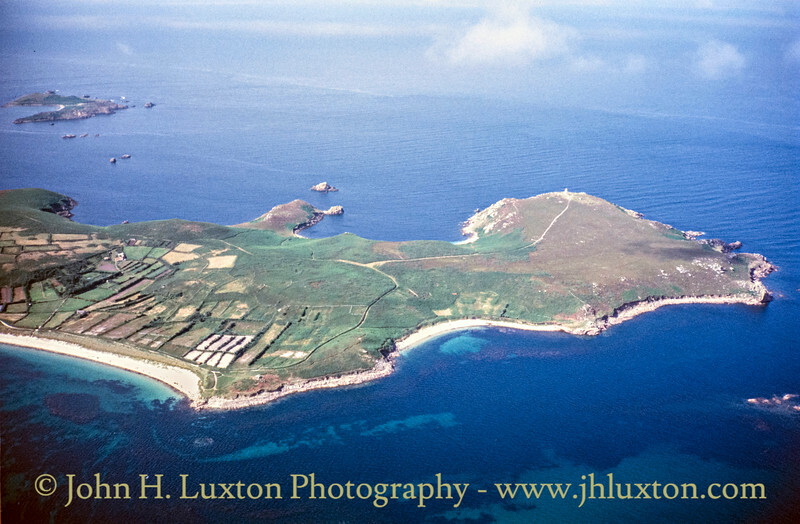 St Martin's head viewed from a Tresco bound flight from Penzance Heliport. 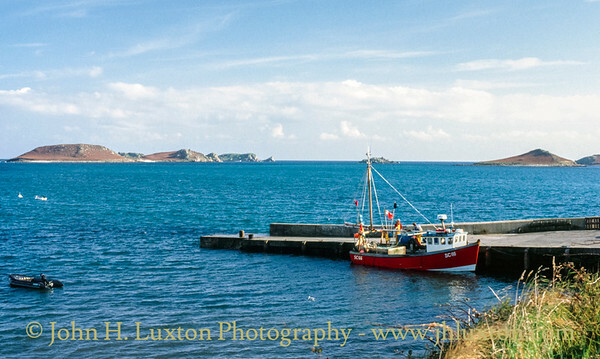 Isles of Scilly registered fishing vessel SC66 HUSTLER seen at Higher Town Quay, St Martin's, Isles of Scilly. 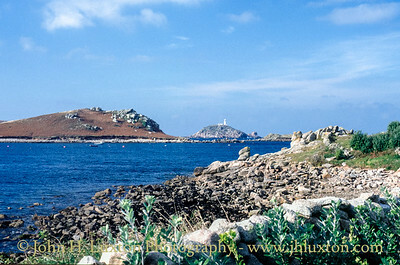 View from St Martin's towards the Tean Island and Round Island crowned by its prominent lighthouse. 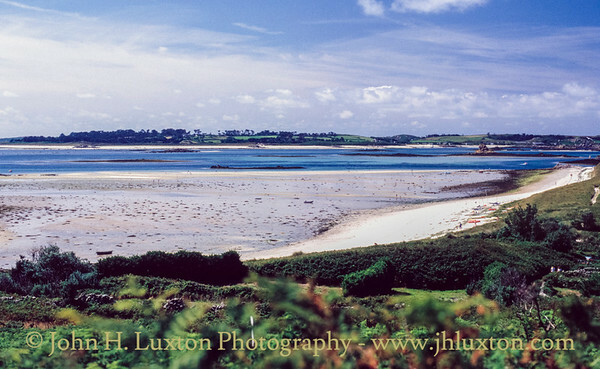 View to St Martin's Head from Burnt Hill, St Martin's, Isles of Scilly. 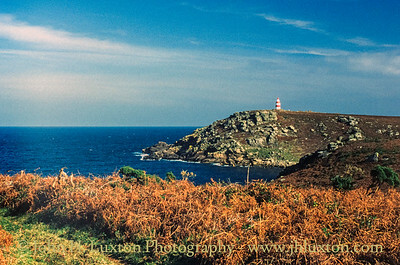 Day Mark on St Martin's Head. The Day Mark was built as an aid to navigation in 1683. It was built by Thomas Ekins the first steward of the Godophin Family to live on the islands. Ekins encouraged the resettlement of St. Martins from the 1680s. 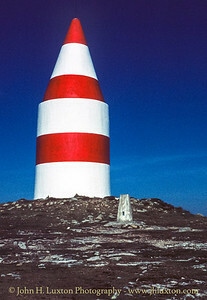 It is the earliest surviving dated example of a beacon in the British Isles. It was painted white until 1822 but by 1833 had been painted red, and is now painted in bands of red and white. 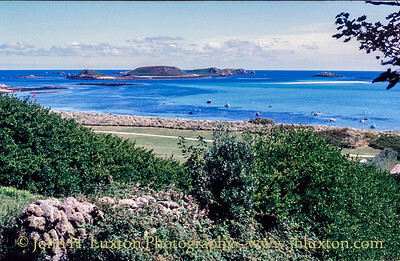 Twitchers observing migrating birds are a feature of the Isles of Scilly in the Autumn. 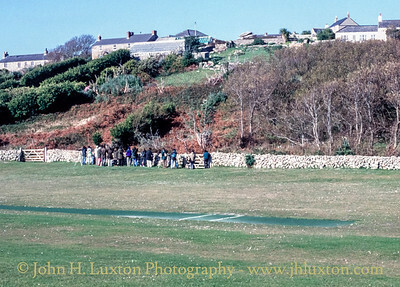 Something had attracted their attention as can be seen by this crowd gathered on Pool Green, St. Martins. 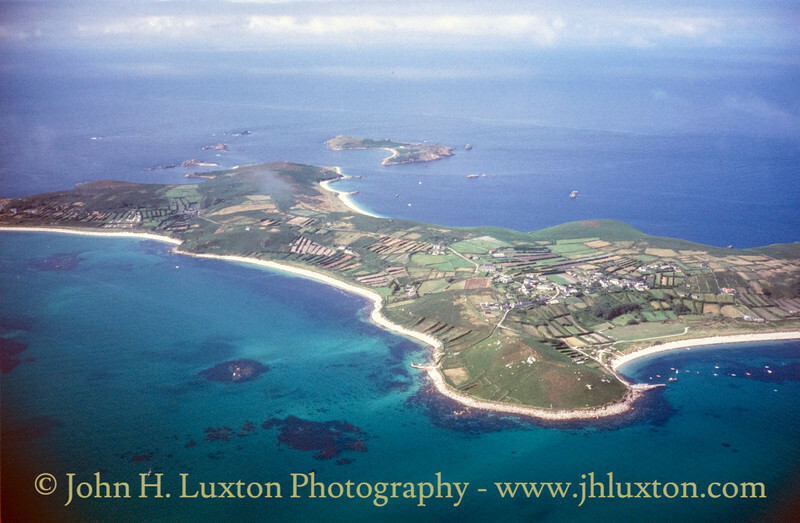 Aerial view of Higher Town, St Martin's taken from a British International Helicopter's flight to Penzance. St Mary's Boatmen's Association launch SOUTHERN QUEEN approaches Higher Town Quay, St Martin's, Isles of Scilly. This historic passenger vessel SOUTHERN QUEEN was nuilt in 1926 by Short Brothers, Leicester. She is an open passenger boat of oak construction with a Ford Barracuda Mk II engine. She has the capacity for 81 passengers. Prior to World War II she worked out of Folkestone and was commandeered by the Navy at the time of the Dunkirk evacuation, taking troops from the beach to larger ships anchored offshore. SOUTHERN QUEEN then remained in naval service throughout the war. She returned to pleasure use at Folkestone and, in 1961, was registered to owner A.E. Bellingham of 51 Burrow Road. 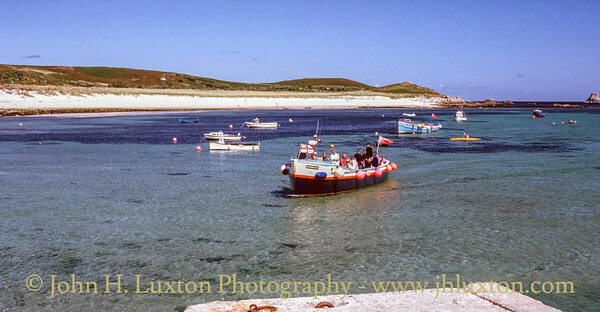 The following year, she was taken to the Isles of Scilly where she was used for inter-island services. 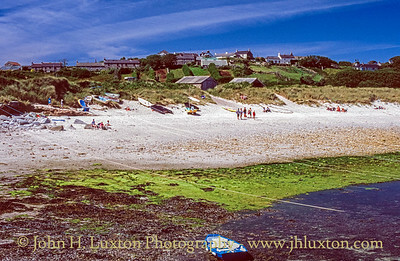 Later owners in the Scillies were Frank Pender and Alec Hicks. After abandonment and rebuilding she now operates in Kent. St Martin's Fire Station Higher Town - the trailer pump appears to be WWII vintage! Higher Town, St Martin's, viewed from the east. 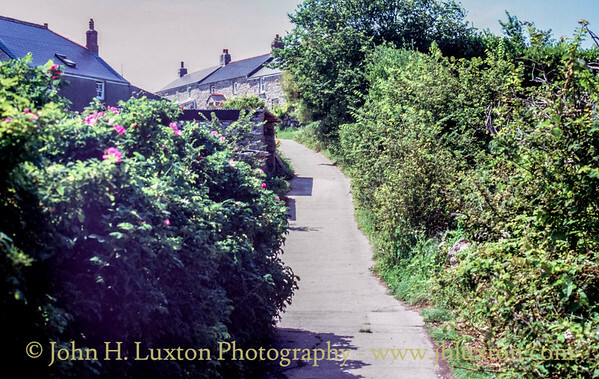 Road up to Higher Town from Higher Town Quay, St Martin's, Isles of Scilly. 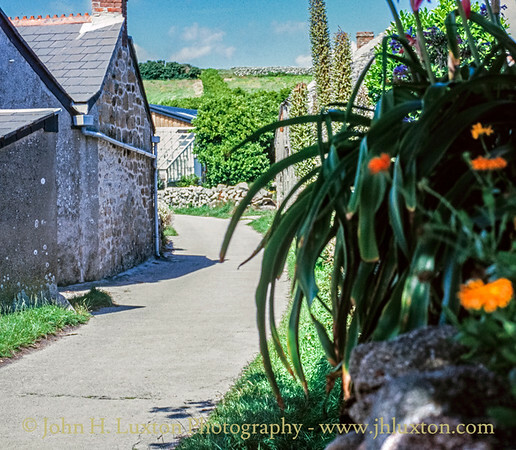 Middle Town, St Martin's Isles of Scilly looking along the road in the direction of Lower Town.